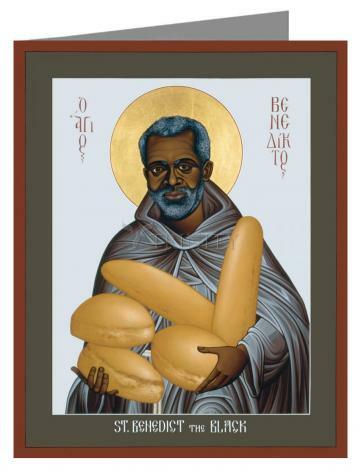 Benedict’s parents were brought from Africa as slaves to Sicily. He was born a slave but was set free in his youth. His temperament was refined and cheerful, despite the racial slurs he suffered from his neighbors. He eventually gave all his possessions to the poor and became a hermit near Palermo, following the rule of St. Francis.